Here are the words from the Lord that we received during our Community meetings in 2017. Videos of talks from the 2016 Council Meeting of the Catholic Fraternity are available. Here are the words from the Lord that we received during our Community meetings in 2016. Our bishop has been elected to chair the U.S. Bishops Committee on Ecumenical and Interreligious Affairs, though his role as Chair won’t officially begin for almost a year. Read more about his responsibilities on the USCCB and his recent election HERE. Let’s continue to keep Bishop Bambera in our prayers, especially as he prepares for this new role. He speaks about the occasion of celebrating the Jubilee of the CCR. He has some challenging words for communities and their leaders. At the Catholic Fraternity meeting, Dan Almeter of the Alleluia Community was re-elected as our CFNA rep on the Fraternity Council (English Speaking Fraternity Communities in North America), and Gilberto Barbosa was re-elected President for another three-year term. Jesus Christ, Our Lord, You have called us, and just as You walked along the shore of Galilee and recognized your Apostles and called them by name, so you call us by name, and You invite us not only to follow You but to journey with You through your Cross and Resurrection. And Jesus, today we want to prepare ourselves for all that You have in mind for our future, for the future of the Charismatic Renewal, for the future we will live in our Communities. Jesus, we want to surrender to You once again today, and to surrender not in our own strength but in the strength of Your Holy Spirit. Jesus, I invite You to be my Lord. I want to turn away from all of those things that would capture my attention more than You, that You would be the central figure in my life, that You would be the central figure in the life of my Community, [The People of God], that it is to You that we would give obedience, that it is You who would guide us through the power of Your Holy Spirit. Jesus, we surrender to You. Here is the website dedicated to preparing and celebrating the 50th anniversary of the CCR. Here is the National Service Committee’s document on the Jubilee. On October 28th, the Community celebrated its 32nd Anniversary with a dinner at the Holy Family Spiritual Renewal Center. In conjunction with the anniversary celebration, the Community held its triennial General Assembly, during which the covenanted members re-elected Jim Gialanella as Community Coordinator for another 3-year term. 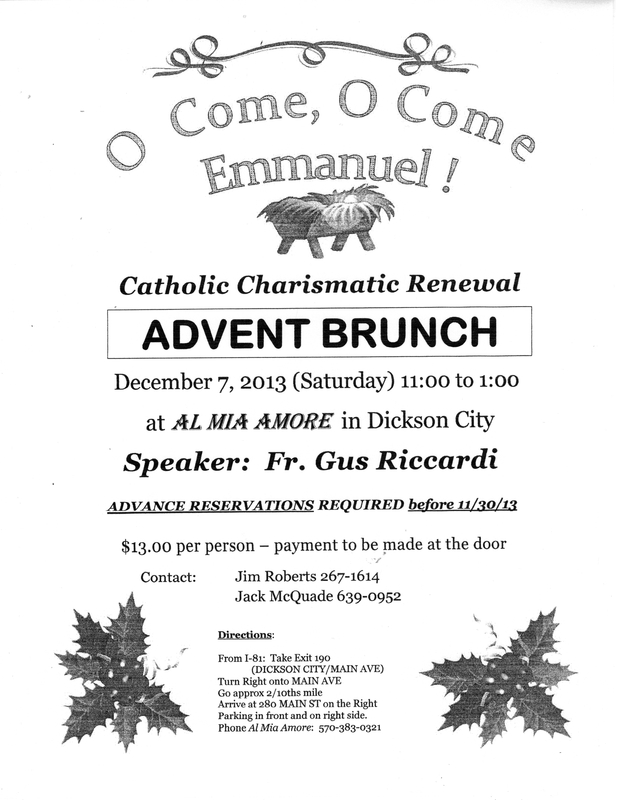 Fr Leo McKernan, the Community’s Spiritual Advisor, was present. 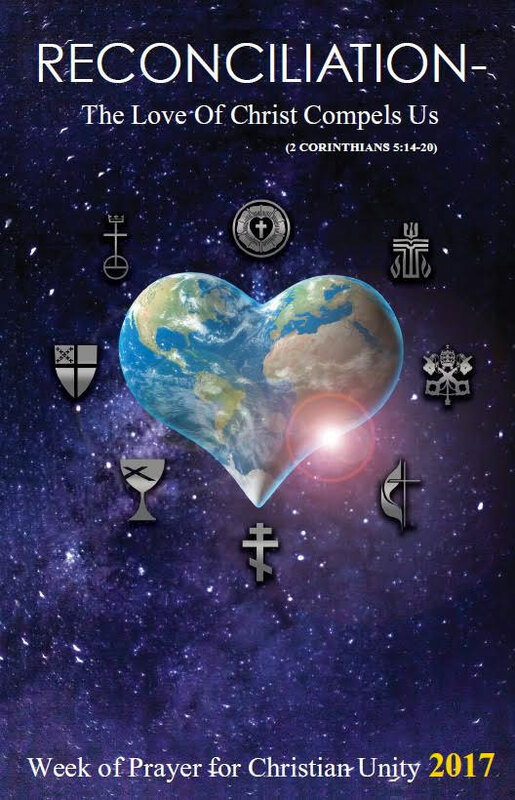 Click here for the resources from the Pontifical Council for Promoting Christian Unity for the celebration of this event in 2017 (January 18-25). Click here for the words from the Lord that we received during our Community General Gatherings during 2015. …the law of love is not concerned with what will be, what ought to be, what can be. Love does not reflect; it is unreasonable and knows no moderation. Love refuses to be consoled when its goal proves impossible, despises all hindrances to the attainment of it’s object. Love destroys the lover if he cannot obtain what he loves; love follows its own promptings, and does not think of right and wrong. Love inflames desire which impels it toward things that are forbidden. 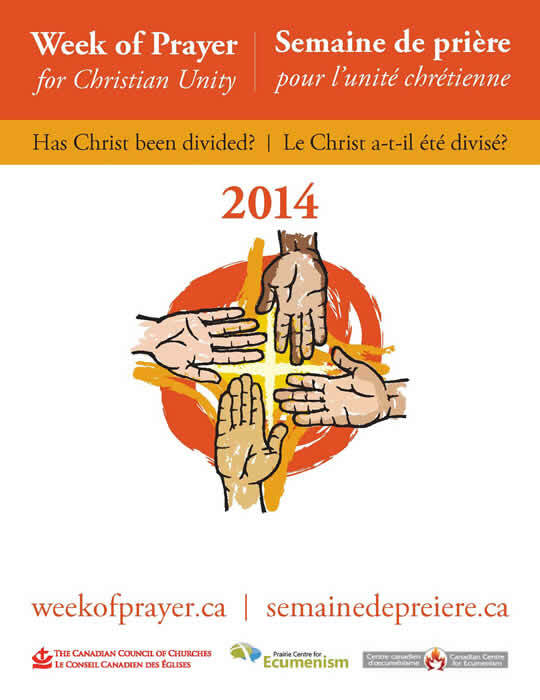 The theme for the 2014 Week of Prayer for Christian Unity is “Has Christ Been Divided?” This is from 1 Corinthians 1:13. A detailed presentation of the background and resources for prayer services has been published here by the Pontifical Council for Promoting Christian Unity. At the (non-Catholic Christian) Desiring God blog, Joseph Scheumann presents “Five Truths About Thanksgiving” from Sacred Scripture.